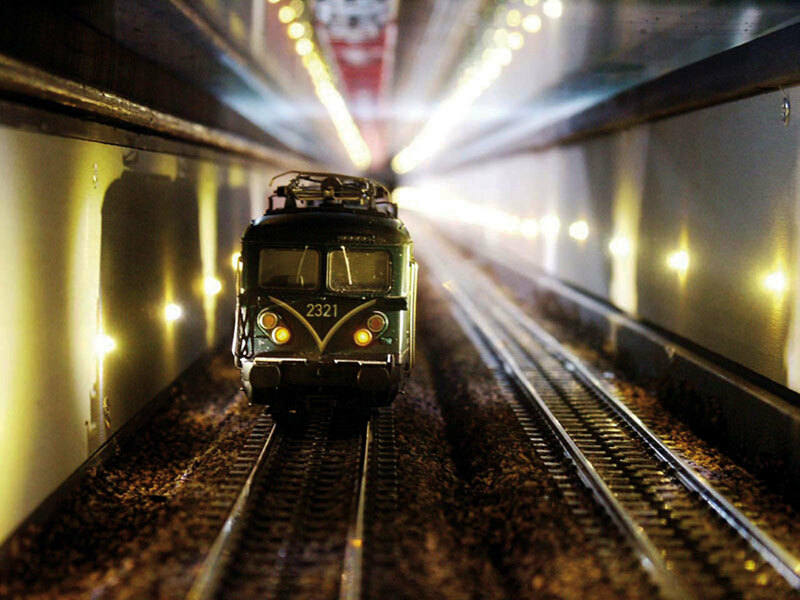 The first train connection between Hamburg and the USA – the Wunderland transcontinental tunnel. The glass tunnel in the floor of the spectator area connects Hamburg to Las Vegas. If you stand at the edge of the America section, close to Cape Canaveral, you might feel the ground vibrate below your feet. Just five centimeters below the floor, trains are rushing past, making the ground tremble. This ambitious and elaborate project is the world’s first railway connection between Europe (Hamburg) and the USA. But don't worry: the delicate trains are protected by 20 millimeter strong bullet proof glass. The floor was excavated with heavy machinery on a length of five meters and ten centimeters deep. Following, the sidewalls were equipped with 400 LEDs. We took extra care in waterproofing the seams, so no humidity can seep through despite the daily cleaning of the floor. But what if a train derails underground? The longest arm of our tallest colleague is still only a meter long! In these cases, we send in a “cleanup train” with four engines to force the derailed cars out of the tunnel.